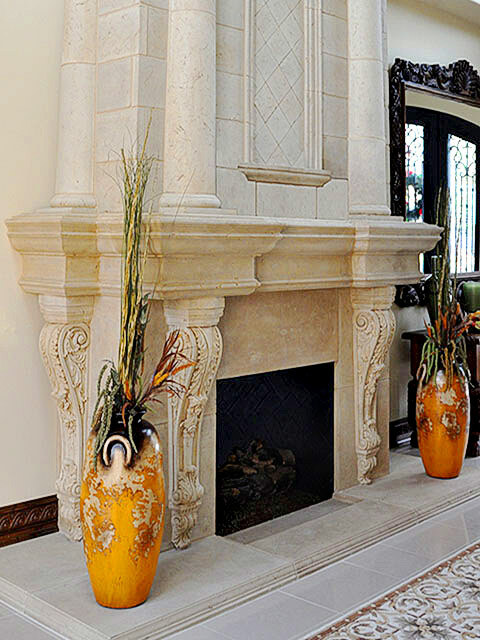 Marble fireplace mantels & natural stone such as limestone, travertine + sandstone. Beautiful centerpieces ideas for your home. 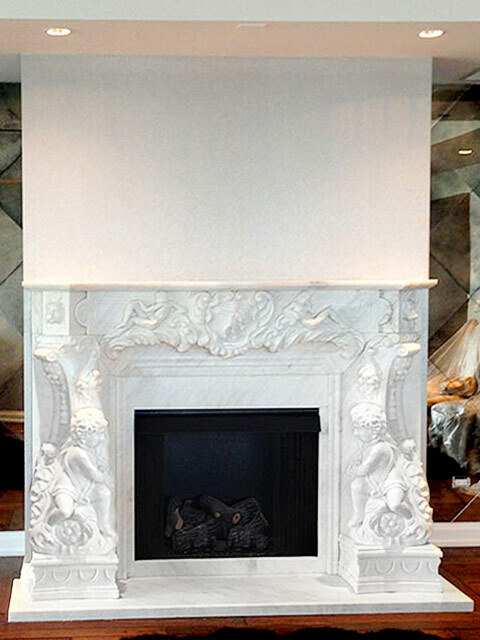 Add prestige & value to your project with a custom marble mantel surround. All of our products are available in custom sizes. Shop online, visit our showroom or call us. Traditional & Modern designs. Great SALE deals in stock. Cast stone is a durable light weight manufactured stone. Made from limestone to resemble limestone & travertine. Aggregates of natural stone are cast into molds achieve a mastered light weight Fireplace. Cast stone is made to resemble several different stones such as limestone, travertine & sandstone. Sometimes called precast, GFRC or faux stone. SALE fireplace mantels are available to ship in 1-3+ weeks. Stock dimensions available as shown. 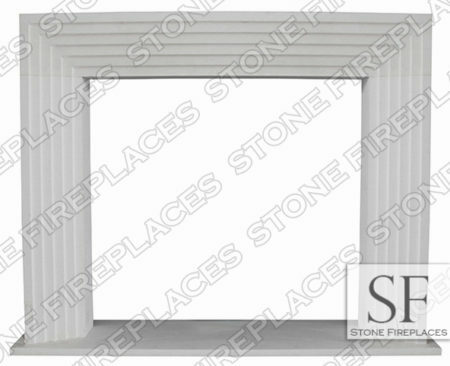 Sale fireplace surrounds include our most popular models. Shipping is available all over the world. Huge selection of Modern + Contemporary Styles. Please call to verify availability. Sold as is. Sale marble & limestones surrounds. Installation is available, please call. Great photos + fireplace ideas. Explore useful links to learn more about our products. Need an order fast? 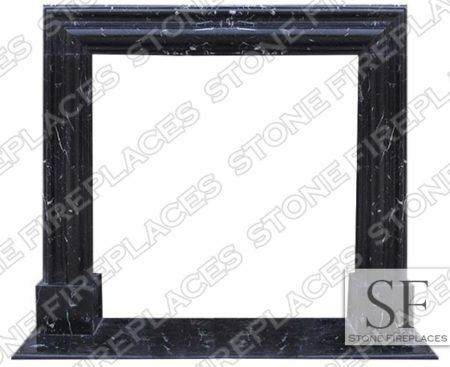 We can deliver SALE stock limestone surrounds in 1-3+ weeks. 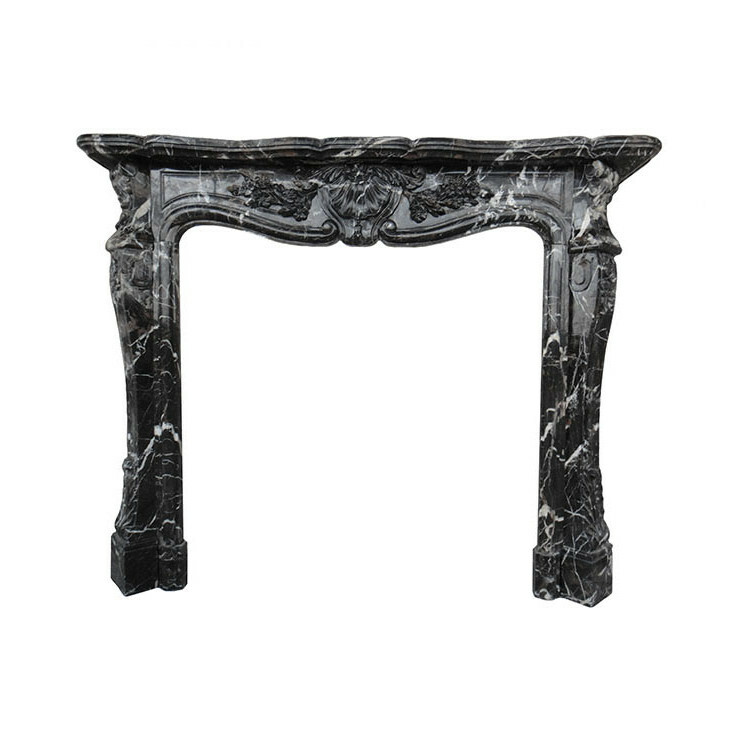 Browse stock sale marble fireplace mantels now. Great Prices + Quick lead times. Sale page fireplaces sell quickly make sure to purchase yours before it sells. Stock is frequently restocked but the models that are available change depending on demand & trends. You can always order online. Great price & a quick turnaround. Sale fireplaces sell fast. Made from precast, limestone, sandstone and Cantera. Coming Soon. Stock sale page list great fireplace mantel sale options cheap. Travertine & sandstone surround options are priced to sell. Cast stone will be featured in the affordable line of mantels. Our version of precast is lightweight, durable & priced well. Fast national delivery. Materials we use include marble, limestone, sandstone, travertine, cantera & cast stone or precast. 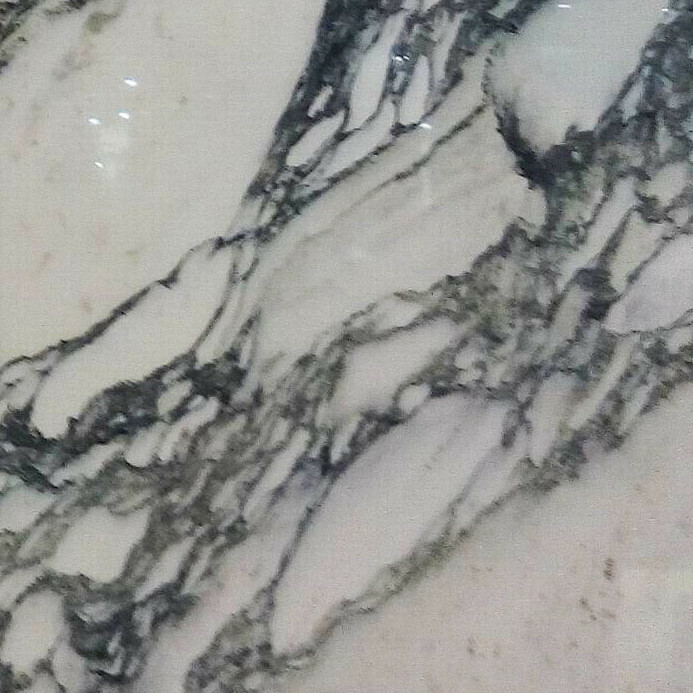 Marble comes in a variety of colors. Most of our stone have several options. Changing the material will often change the price of the fireplace surround. All are great options. We can mail samples or visit the Chicago showroom to view them. Many designs are installed for your viewing. 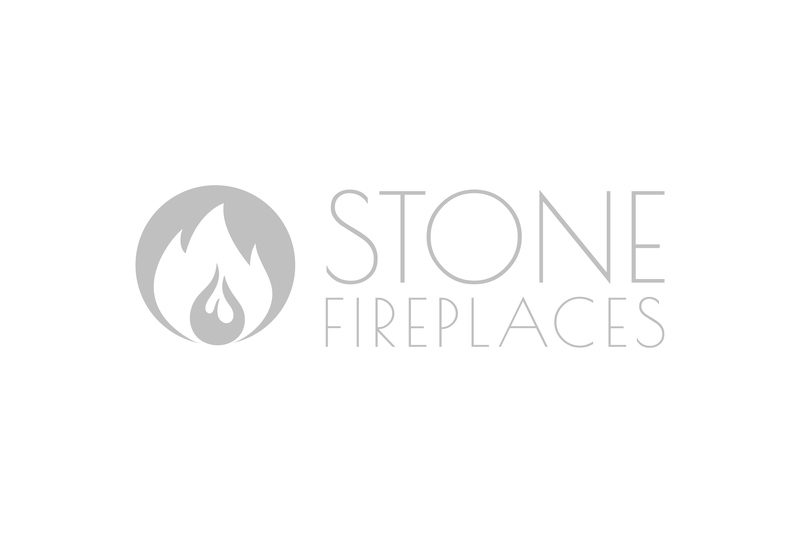 Great photos & fireplace ideas can be found on this page. From here you can navigate to all of our other useful pages. 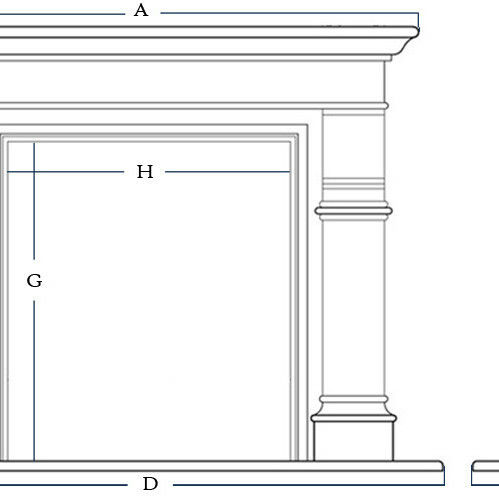 Here you will find helpful links to the installation guide where we provide pictures + tips on the best practices for installing a fireplace mantel. Marble surround installation is similar to that of cast stone but details can be found by clicking on the installation guide link or FQA in the top link. 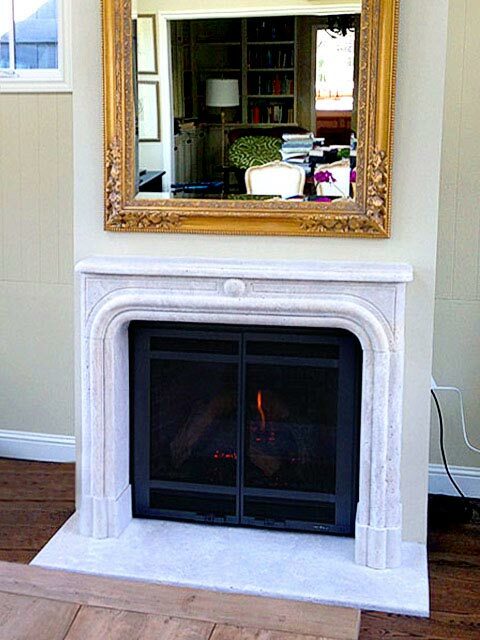 Cleaning a marble, limestone or cast stone mantel can also be desired from those links. How to get a quote on a particular model is also explained and can be that link is on this page. Our fireplace mantel store is located in Chicago. We have an office in Los Angeles, California. Visit the useful Chicago showroom by appointment. There you can be inspired by the installed models. Ideas for your home can be discussed with a representative. Click around the website for more ideas. The top four pictures with the links are the most useful and most used pages. The first is of the marble fireplace which will take you to our natural stone page. Here you will find photos of fireplaces that were carved from natural stones such as limestone and travertine not just marble. All the real stone surrounds including sandstone and marble will be found on that pages. The sale page link on the far right will also have many stock options made from marble, limestone and travertine. Indiana limestone look is achievable with our man-made cast stone. This is a popular color for Wisconsin & Michigan in both exterior + interior applications. The middle two links will take you to our cast stone fireplace mantels page and the overmantels page. 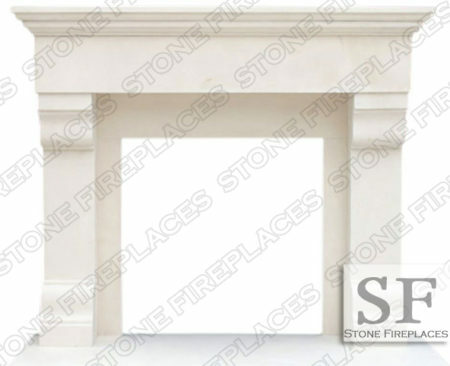 Our overmantels also know as upper mantels can be made from either cast stone or one of the real stones. Cast stone overmantels have a quicker lead time and are faster to install. 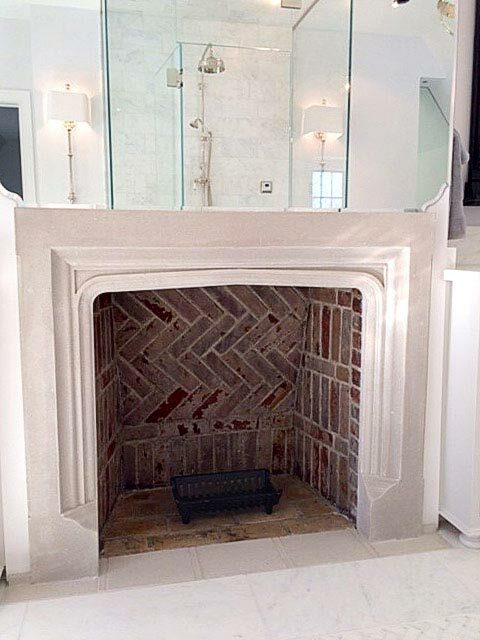 Marble & limestone overmantels have a longer delivery schedule but are beautiful once installed. 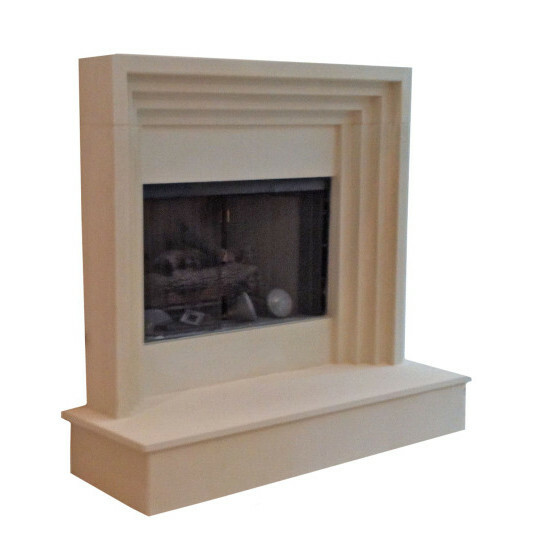 Both cast stone and overmantels are fully customizable. We offer Traditional & Modern designs in stock & custom.